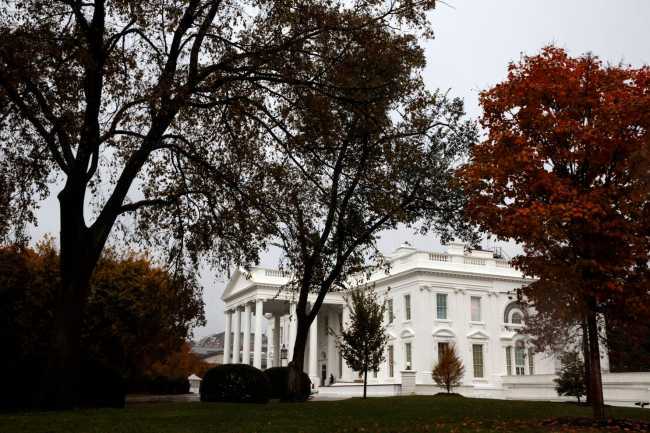 As polls begin to close, the White House is stressing the effort President Donald Trump put into a political ground game aimed at putting Republicans in the win column for Tuesday's midterm elections. White House press secretary Sarah Huckabee Sanders says in a written statement that Trump has headlined 50 political rallies, 30 in the past two months. He's campaigned for dozens of candidates at all levels of government. Sanders says the Republican National Committee raised more than $250 million under Trump to defy what she calls "midterm history,'' which tends to favor the party that does not control the White House. Sanders says the president and first lady Melania Trump are looking forward to watching election results Tuesday night with friends and family in the White House residence. President Donald Trump is spending Election Day calling allies, tweeting endorsements and following news coverage, after concluding a six-day rally blitz in Missouri late Monday. Trump packed his closing argument with hardline immigration rhetoric and harsh attacks on Democrats as he stared down the prospect of Republican losses that could shadow his presidency. Faced with the possibility of keeping the Senate but losing the House, aides have begun laying out the political reality to Trump, who could face an onslaught of Democratic-run investigations and paralysis of his policy agenda. Trump has already been trying out defensive arguments, noting that midterm losses are typical for the party in the White House, pointing out a high number of GOP retirements and stressing that he has kept his focus on the Senate. Long lines and malfunctioning machines marred the first hours of voting in some precincts across the US. Some of the biggest problems Tuesday were in Georgia, a state with a hotly contested gubernatorial election. Voters reported waiting up to three hours to vote. At a polling place in Snellville, Georgia, more than 100 people took turns sitting in children's chairs and on the floor as they waited in line for hours. Voter Ontaria Woods said about two dozen people who had come to vote left because of the lines. At a poll site in Atlanta, voters waited in the rain in long lines that stretched around the building. Hannah Ackermann said officials at the polling site offered various explanations for the delay, including blaming workers who didn't show up and overloaded machines. House Democratic leader Nancy Pelosi says the midterm elections are basically a referendum on Republican efforts to scrap Obamacare. Pelosi credits Democratic politicians and activists across the country with helping to fend off attempts to repeal the Affordable Care Act following 2016 election results that left Republicans in control of Congress and the White House. She forecasts Democratic victories across the country, but with a small overall margin of victory. Pelosi says that as few as 25,000 votes nationwide could swing the results. Pelosi has remained noncommittal amid speculation that she would step aside to make way for new leadership, regardless of the election results. Russia's Foreign Minister Sergey Lavrov says he hopes the outcome of the US midterm election will ease domestic tensions in the United States and enable Washington to focus on global issues. Lavrov also reiterated Moscow's position that it is not meddling in US elections. Severe weather in several Southern states could affect voter turnout on Election Day. A line of storms moved through the Deep South overnight and early Tuesday morning, knocking down trees and power lines from Louisiana to South Carolina. There were no serious injuries but an estimated 11,000 residents were left without electricity. A separate storm front in central Tennessee overnight killed one person, injured two others and also left thousands without power. The National Weather Service warned of a possibility of high winds, severe thunderstorms and possible tornadoes Tuesday around Baltimore, Washington, D.C., and the Mid-Atlantic region. Dry weather was forecast for the West and Southwest, but significant snow accumulations were expected across the northern Rockies. A turbulent election season that has tested President Donald Trump's slash-and-burn political style against the strength of the Democratic resistance comes to a close as Americans cast ballots in the first national election of the Trump era. As voters head to the polls Tuesday, nothing was certain. Anxious Republicans have privately expressed confidence in their narrow Senate majority but fear the House is slipping away. Democrats' very relevance in the Trump era depends on winning at least one chamber of Congress. They remain laser-focused on health care as they predict a nationwide "awakening'' that will break up the GOP's monopoly in Washington and state governments.